The current situation in Venezuela, with the present induced scarcity, made me analyze what could be done by a prepper to provide a proper DIY supply of those goodies that suddenly disappear from the shelves. Venezuela had industries that produced a lot of goods: toothpaste, shampoo, all kind of hygiene products, food, drinks, fuel. Just like every country. The raw materials needed for some stuff, if not produced in the country, were bulk imported, much cheaper. Items in a wide range of prices were available. If someone could not afford the toilet paper with perfume, no problem, there was a cheaper brand available, nationally produced. Everyone could enjoy a decent life quality. That was one of the main attractions of the country. Until the commies arrived, of course. Under this light, I realized we had, until the mid-nineties at least, a similar economy to those of the most developed countries. As a matter of fact, our industry was one of the strongest in all of Latin America: the free market allowed a wonderful (perhaps not always so healthy because of the occasional mafia) competition. I remember some exercises in college about choosing the company with the best performance in the Caracas stock exchange, in a financial engineering work course I took for optional credits. Let´s see why I have identified these as important. Vegetable oil can be extracted by the proper processing of the corn and other seeds of your choice. It is useful . This was one of the first staples that disappeared from the market. Most of the oil producing companies were seized and nationalized. Now their production is a small fraction of what it was when they were private, and the military controls the supply and sales in the black market. You can prepare mayonnaise with it and some eggs. You can use it for canning. One of my aunts had sardines preserved in large glass jars with salt and cooking oil. Even in the heat of the tropics, they lasted for months. Well, without a gang of hungry teens running loose at home. (NOTE: Meat of any type is low-acid and MUST be pressure canned. ~ Daisy) We ate this with “arepas” (corn pancakes) and some drops of lime juice, and they were really great and filled with nutrients. There are a lot of uses for vegetable oil. Once it has been used for cooking, it could be used as fuel, to improve the heat output of wood stoves, or even as a makeshift a water heater that runs with WVO (waste vegetable oil). Vinegar can be made with apple fermentation, or potatoes, beet, rice, and others. This is another staple that disappeared, and we had stockpiled at least 5 gallons that, used wisely, lasted a long time. It can be found again now, but the price is way too high. There are lots of useful recipes around. If you can find it cheap, it is better to stockpile. However, it’s a good idea to prepare a test batch so you know how it is done before you need it, would be a good prepping skill. It is good as a disinfectant, and has lots of other uses. You can use vinegar to preserve and pickle food so it doesn’t spoil. I mentioned this already, but I found this so meaninfgul, that I have to go into more detail. Our refineries are going to face a technical halt. There are no contractors for the maintenance; operators are leaving their control panels empty, because the salaries won´t allow them to feed their families anymore. Jeez, I heard about one guy that having sold his audio equipment, took his kids for pizza and the next day he was under investigation to check where he could get the money for that, because they knew that with that joke of a salary, even buying a pizza was not feasible. This is not an exaggeration. The working shifts were changed from 8 hours to 12 hours, and there is no lunch provided, something that never happened before. This means that the last employers remaining will just migrate without looking back (just like me). The derivatives production will see their minimum levels soon. Gasoline and engine oil supply is already experiencing shortages. Some imports of gasoline from Russia are damaging the engines because it has been proven that their anti-freezing compounds are not suited for being used in the tropical heat of Venezuela. I never thought that diesel would be my choice for an engine, but this is the fuel that will be the future of the preppers. A small facility to produce biodiesel, for those with enough skills should not be very dificult. The time to find a blueprint, assemble a pilot device, and buy the needed parts to escalate it in the future, is now. In that future, this could be a great side business and generate lots of income. There were a LOT of different soaps once upon a time in Venezuela. The most popular, used since generations ago by even the most wealthy people was one popularly called “blue” soap. It is so good that the doctors recommend it to clean flesh wounds from surgeries and such. With parfum, with oats, glycerine soap, all kinds could be found at fair enough prices. This stopped when the Procter and Gamble facility was seized. Shampoos and like 10 other different products including toothpaste disappeared from the market. Now, Chinese copies of famous brands, without any sanitary registration are almost the only option. I have used blue soap as toothpaste, with salt and some charcoal powder. Despite the initial taste, they truly work together as a cleaning agent. If you don´t have any other option, manufacturing your own soap will provide you with an awesome edge under an economical collapse situation. Keeping yourself well fed and clean will provide the necessary mindset to improve your resistance to stressful situations. Good personal higyene is paramount, as we all know, but keeping some of our daily routines is even better for our psyche. The lack of soap has unchained a scabies plague among our children, just for you to know. This is something that needs some special medications. No problems in other countries. But in Venezuela, my wife had to go to a lot of pharmacies, and pay for it at an inflated price. My suggestion? Try to find a good, simple recipe, cook a barbecue, and afterwards, use the ashes to try to make a batch of homemade soap. It will be fun, and you will find yourself with something that will be a highly valued item, if the need arises. I would bath the dog first, before using it for the children, though…Just in case. We are going to need alcohol, regardless if you intend to use it in a wound, for lamps, or for cooking. If you have raw materials enough for producing large batches, you can relax and enjoy yourslef drinking an adequate portion of the distillate that is obtained specially for that purpose. This should be done carefully, though. There have been lots of explosions in homemade distillers, enough to understand that this has to be done with a good amount of care and the necessary safety measures. With some anecdotical data, in Venezuela, there were a lot of poisoned people when the factories, in the general strike in 2001, stopped producing beer and the trucks stopped delivering rum. How Uncle Hugo survived this, knowing how my people love a good Rum and soda, still remains a mystery to me. Anyway, Venezuelans drank like fishes all the kinds of alcohol they could get their hands on…resulting in several deaths because of the experiments. We do have something like the moonshine you have in the USA. It is made from sugar cane and not suggested for the weak. They are mostly product of small, unknown factories, scattered all over the country. That production disappeared just like liquid gold. 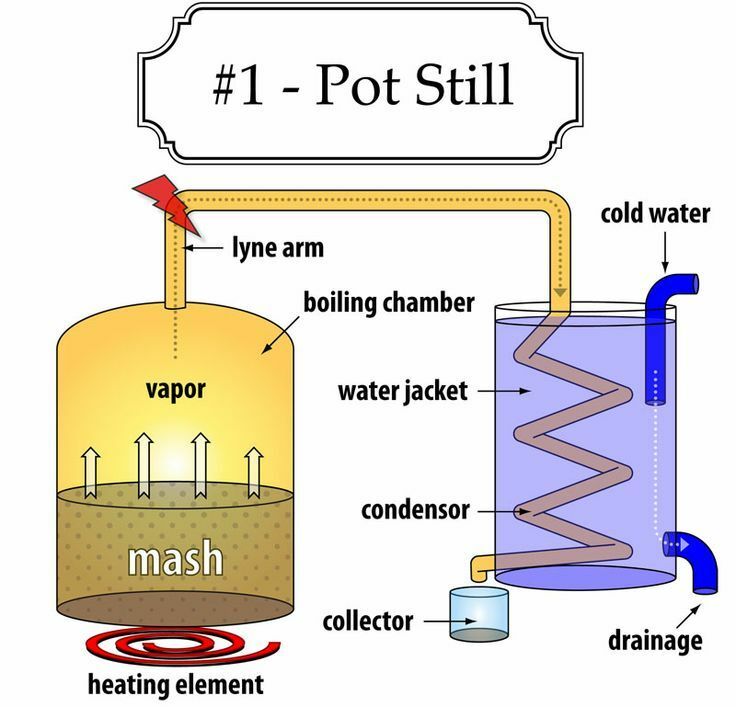 If some of you believe that you have the skills, or perhaps are able to get a distillation system, after going through that part of the collapse, I can assure that it is a good idea to have some means to produce alcohol…even if it is just for rubbing it in a wound. Properly done, a bottle of alcohol for disinfection would be a great bartering item. This medical item was never scarce, as far as I know. But we don’t truly know what the future will hold. This is one of my projects for the far future, just in case my son decides to have children, and my predicted pandemics happens to blow out once I am not here with them any longer. If this happens, they will have to remember that their old grampa provided them with some of the needed apparatus to generate some health items…and relaxation means. Is Ear Candling A Safe Practice? Leave a Comment on Is Ear Candling A Safe Practice? Leave a Comment on What is a yeast allergy?